By Katie Sanders, Sarah Waychoff on Tuesday, May 9th, 2017 at 4:29 p.m. The State Department reportedly deleted a retweet promoting Ivanka Trump’s new book, "Women Who Work." Ivanka Trump’s new book for working women with families intertwines a few lessons from the first daughter’s real estate career with a heap of borrowed advice. Far from President Donald Trump’s off-the-cuff style, Women Who Work is painstakingly sourced to advice from specific business coaches, entrepreneurs, studies and polls, which help to bolster some of her assertions about women in the workforce. Trump jumps from voice to voice to explain how to negotiate salary and raises, work smarter and not harder, and survive a layoff. The roster of wisdom-givers spans Walt Disney to Toni Morrison, from The 7 Habits of Highly Effective People to Lean In. We did find one mistake, however, that was easy to avoid: a common misquote of John Quincy Adams. Trump cited him as saying, "If your actions inspire others to dream more, learn more, do more, and become more, you are a leader," to tee off a passage about leading with purpose from any level. The quote is very popular in online leadership circles and occupies many online memes. But it’s False. Adams, the sixth president, was a prolific writer and country-first kind of statesman. But this slice of workplace wisdom just wasn’t his style, and there is no record of him saying it, experts said. "But the man who expects that all mankind, or the circle in which he moves will treat him according to his real merits, must have very little experience in the ways of men." Her decision to include the erroneous leadership quote may have been inspired by a 2015 tweet from her father. Here’s what else we found in our review of the first daughter’s book. In the notes section of her book, Trump referenced a widely cited 2013 Pew Research Center report that looked at households with children under the age of 18. The report found that in 2011, women earned most or all of the family’s income in 40 percent of these households, adding up to about 13.7 million "breadwinner moms." That’s quadruple what it was in 1960 — 11 percent. The Pew figure is a little more specific than what Trump wrote because it only looked at households that had kids, not those that don't have kids. 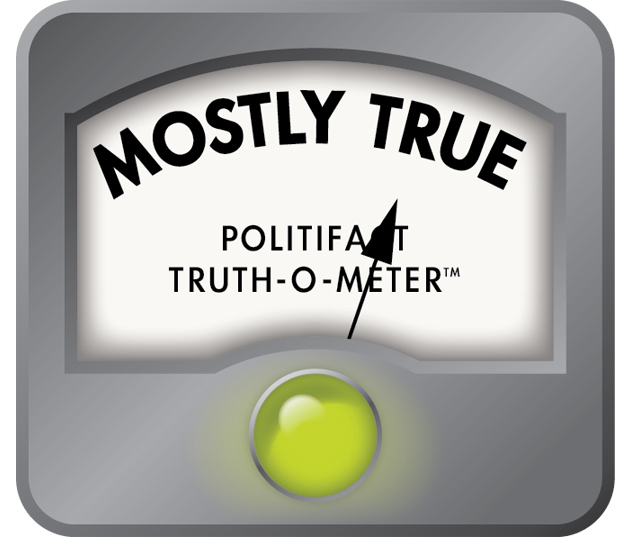 Trump’s assertion is attributed to a 2013 Gallup report. The figure has changed slightly in the past few years. In 2015, the percent of American employees that feel engaged at work was 32 percent. Gallup defines engaged employees as those who are "involved in, enthusiastic about and committed to their work and workplace." Globally, the figure of 13 percent remains unchanged. The stagnation of these numbers are contributed by companies focusing solely on measuring the engagement of employees and not on actually improving the engagement, according to Gallup. The claim that women ask for raises and promotions 85 percent less often than their male counterparts is a snowball effect, according to economist Linda Babcock of Carnegie Mellon University. Babcock blames the gap on women simply not asking for raises and waiting for an offer to be made to them instead. On her website, she explains that surveys show "2.5 times more women than men said they feel ‘a great deal of apprehension’ about negotiating." She also found that men initiate negotiations four times as often as women do. Babcock’s studies from 2007 have shown that there is a negative impact from the lack of negotiations. By the age of 60, women can lose up to $500,000 by not negotiating their first salary. A more recent study from 2016 shows that women remain less likely to ask for a raise. Babcock wrote her book based on studies, "drawing on research in psychology, sociology, economics, and organizational behavior as well as dozens of interviews with men and women from all walks of life."